Yogi in his apartment before he had to evacuate for a second time. HUNDREDS of residents are scared, angry and stressed. Even those in the crumbling Opal Tower who were able to stay at the nearby Pullman hotel have to leave again in two days because it's booked out for New Year's Eve. 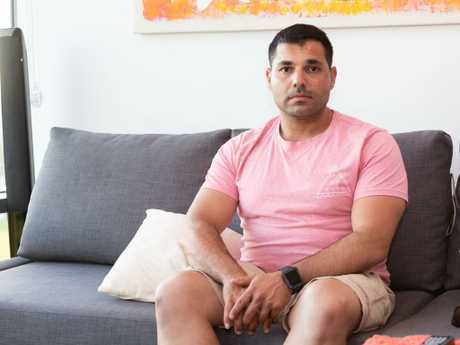 That will be the third time distressed Sydney residents from the 36-storey building will be forced to move their belongings since Christmas Eve, after the developer and builder ordered everyone out again on Thursday to investigate the problem. 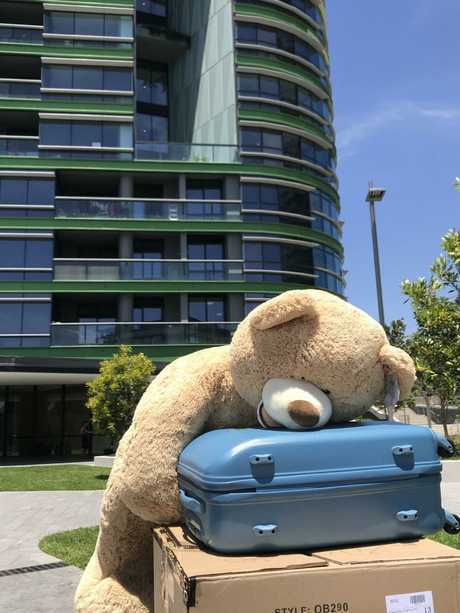 Some people have decided to move out entirely, with one man sent to retrieve his boss's belongings, which included a giant teddy bear. Those who were able to return to their units initially - 51 were deemed unsafe to return to - said they suffered sleepless nights because they were frightened every time they heard a noise. 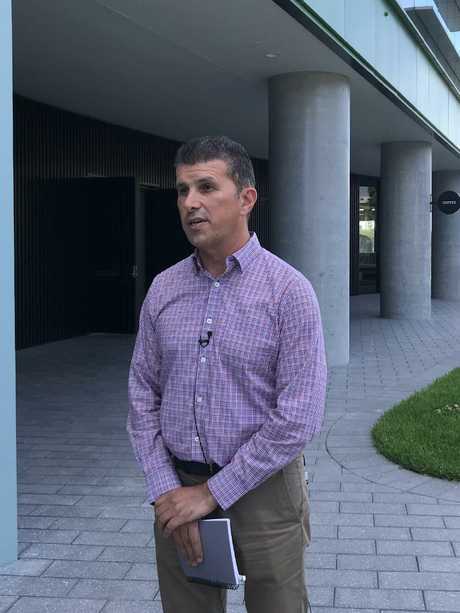 Farzad Rezvani said his wife Yenganeh had only arrived from Iran three weeks ago and she was too scared to stay at their home, an apartment he has only lived in for two months himself. Meanwhile those with children and pets are feeling the stress the most. 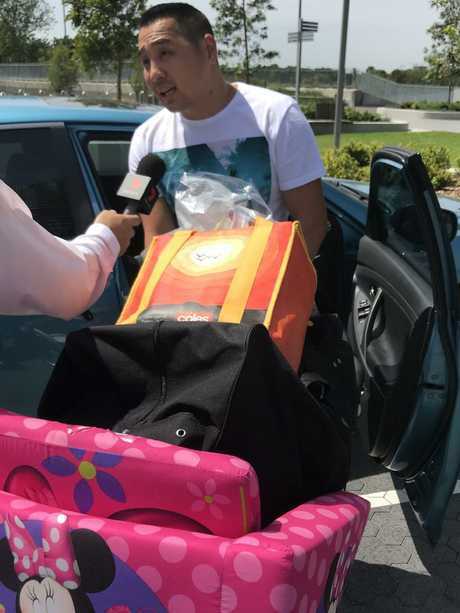 A man named Alex said there were no cooking facilities at their hotel room so they were struggling to care for their two-year-old girl properly. "We don't want to stay here, it's not safe," he said while moving their belongings. "It's a big stress. We can't cook (at the hotel) and we have a kid so I don't know what we'll do. We don't want to eat out for 10 days. We don't know where we'll go." A man was sent to move his boss’s apartment. People with pets have either had to stay with family or wait for the developer to help them find accommodation that accepts animals, in a city that's already heavily booked for New Year's. For many the biggest issue causing them anxiety is the building's security. Residents have complained the security guards on site do not appear to be actively enforcing restrictions on the area and tradesmen are able to come and go freely without ID checks. 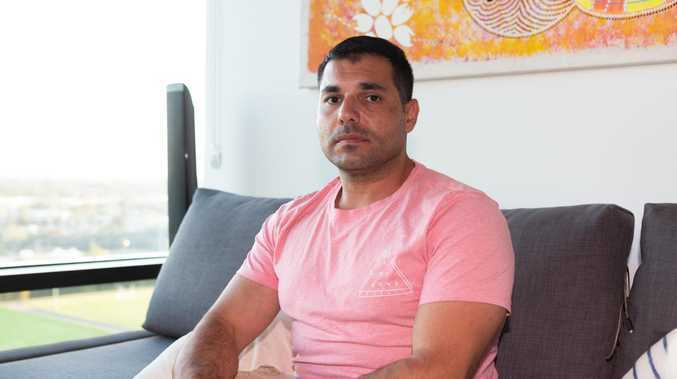 Sixteenth floor resident Yogi said he saw security guards doing nothing and with an "army of tradespeople" entering and residents handing their keys over at 5pm today, they were not assured. "These are the people who are supposed to be the ones looking after our belongings," he said. "People are worried. How are they going to assure our belongings are safe? We're losing sleep, we're suffering. To anyone who says the building is safe, come sleep a night in my apartment." Yogi said he was angry because he had taken time off work to move his things and there was not a proper action plan in place or a team dedicated to the process. 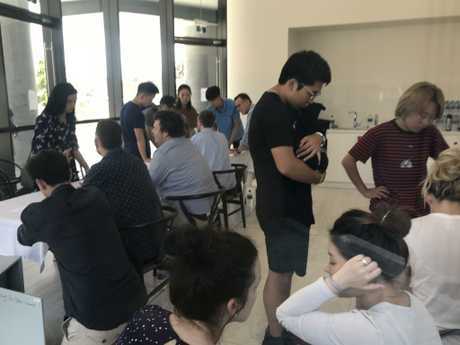 Residents spent their Fridays returning to get extra belongings or sorting out accommodation options, with uncertainty over exactly when they will be allowed to return. Many are out of pocket while they wait to be reimbursed for their expenses, on top of paying rents due this week. They have been told to allow for an absence of 10 days because the developer Icon, builder Ecove and their specialist teams are still scratching their heads over what's gone wrong. 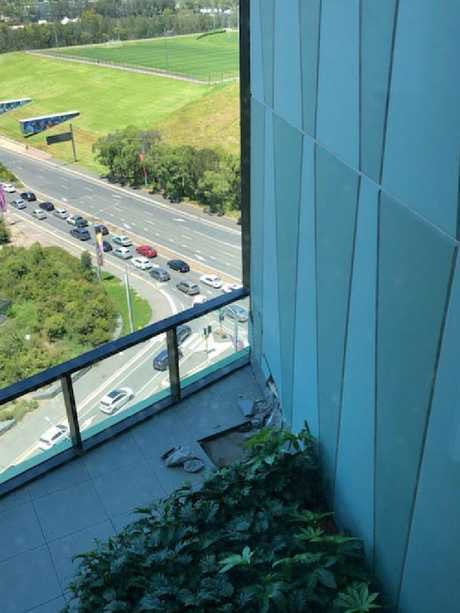 They know the issue centres around a precast panel on the 10th floor, but with stringent checks they say took place, they are at a loss over what caused the panel to crack, sparking the initial evacuation. Fronting the media today, Ecove director Bassam Aflak said everyone was still baffled as to what had gone wrong. "No one has got an explanation for it," he said. "We honestly don't know what has caused this panel to fail. That's the reason why it's taken so long to give residents information. "There are a lot of big companies involved that have done the right thing so it would be unfair to criticise them for one failure when we're still investigating the cause." Resident Bill Badie, 28, who lives on level 11 with his best friend, took a photo of cracking. Despite a blame game unfolding early yesterday, the builder and developer have now put on a united front and said they were working together with engineers and manufacturers to solve the problem. He said he was in the hands of the builder. "I'm not throwing them under the bus. We rely on their expertise as a competent builder." It comes after it was revealed today the certifier who signed off on the structural integrity of the tower had been previously disciplined by the building watchdog. But Mr Aflak and Icon have defended the building's integrity and quality and reassured residents it is safe. Residents are being compensated by Icon between $220 a night for a one-bedroom apartment and $500 for a four-bedroom. They are also being provided $100 a day for lunch and dinner per person, and for places where breakfast is not included, $120. They are being told to leave their keys at reception when they evacuate so engineers can gain access. 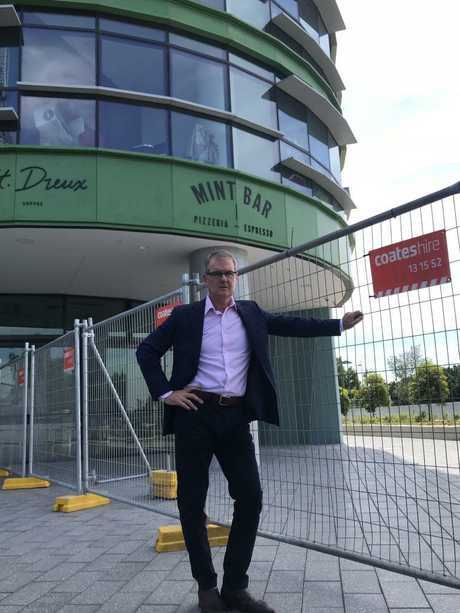 NSW Opposition leader Michael Daley at the site. Ecove developer Bassam Aflak fronts the media. A resident support team is helping people today. 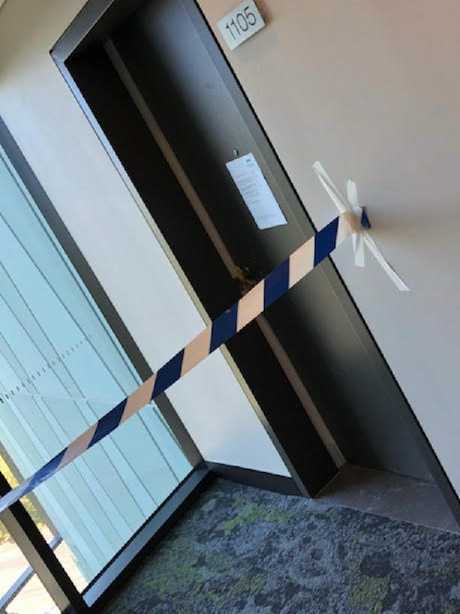 State opposition leader Michael Daley returned to the tower on Friday to ask why Premier Gladys Berejiklian and her planning minister haven't visited. "Families are shell-shocked," he said. "What's it come to in Sydney in the 21st century when people are saying they feel unsafe in their homes? Some bloke knocks on their door and tells you to get out of your house. "There's been more questions than answers. This is not good enough." Mr Daley called on the Premier again to send a government representative out to co-ordinate what was happening with the residents. About 30 apartments are still owned by Ecove waiting to be sold. Alex said they were stressed with their two-year-old girl. Residents have been unable to return to certain units.